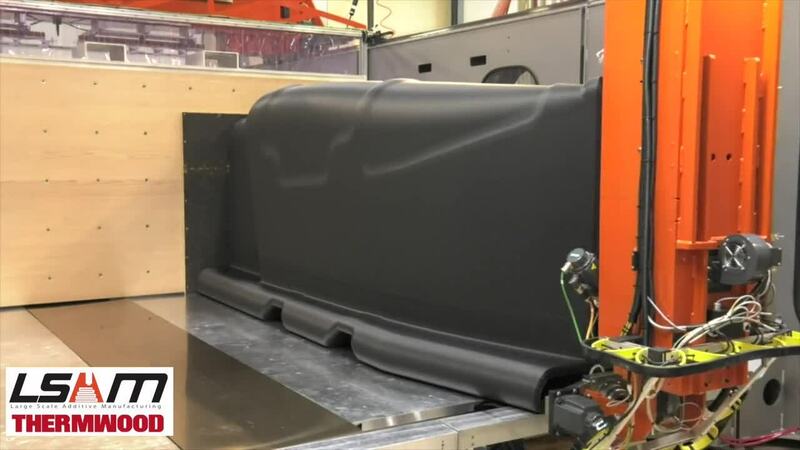 Boeing and Thermwood have employed additive manufacturing technology to produce a large, single-piece tool for the 777X program. The project is demonstrating that additive manufacturing is ready to produce production quality tooling for the aerospace industry. 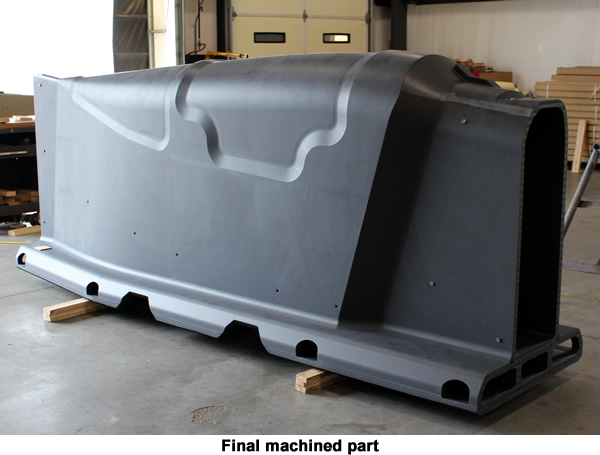 Thermwood used a Large Scale Additive Manufacturing (LSAM) machine and newly developed Vertical Layer Print (VLP) 3D printing technology to fabricate the tool as a one-piece print, eliminating the additional cost and schedule required for assembly of multiple 3D printed tooling components. 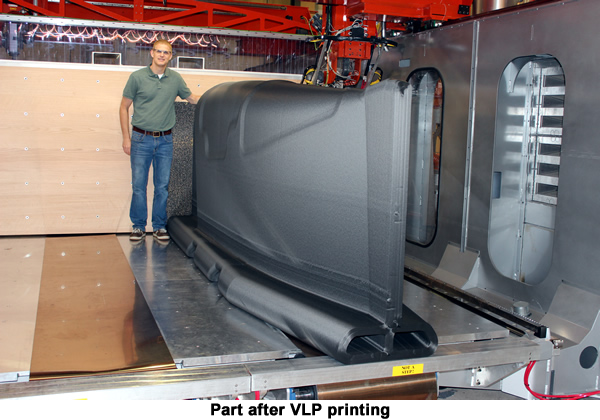 In the joint demonstration program, Thermwood printed and trimmed the 12-foot-long R&D tool at its southern Indiana demonstration lab and delivered it to Boeing in August 2018. Boeing Research & Technology engineer Michael Matlack believes the use of Thermwood’s additive manufacturing technology in this application provided a significant advantage, saving weeks of time and enabling delivery of the tool before traditional tooling could be fabricated. The tool was printed as a single piece from 20% carbon fiber reinforced ABS using the Vertical Layer Print system. Boeing purchased a Thermwood LSAM machine with the VLP functionality for the Interiors Responsibility Center (IRC) facility in Everett, Washington. The ability to quickly produce large-scale tooling at a quality level suitable for a real world production environment represents a significant step in moving additive technology from the laboratory to the factory floor. LSAM is based on exciting new technology developed from an entirely new direction. LSAM is intended for industrial production. It is not a lab, evaluation or demonstration machine, but is instead a full-fledged industrial additive manufacturing system intended for the production of large scale components. Thermwood has already applied for 19 separate patents on various aspects of this new technology (several have already been granted and more will be coming as development continues). LSAM is truly “state of the art” in this exciting new world of Large Scale Additive Manufacturing.